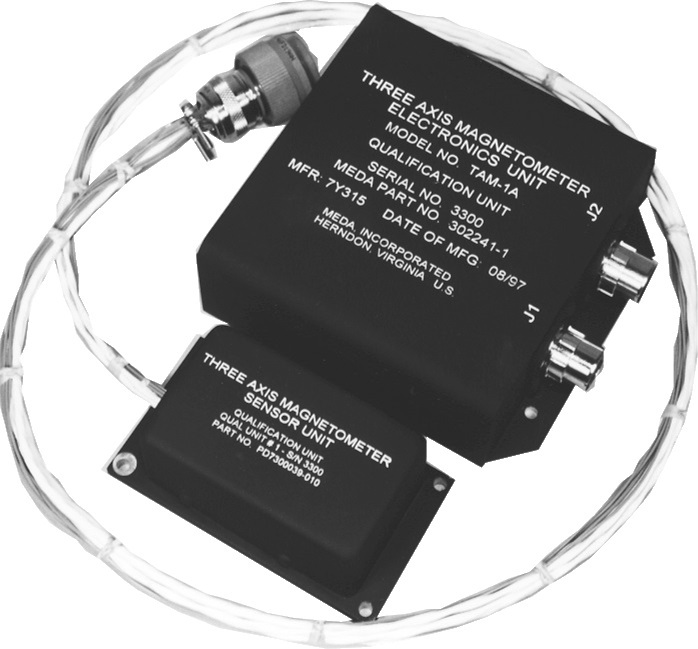 The TAM-1 series of three-axis satellite magnetometers satisfies a broad range of spacecraft attitude determination and control applications. The basic TAM-1 design, which is based on rugged and reliable fluxgate magnetometer technology, has a long history of success in space. It has been used on numerous civilian and military satellites since the early 1970's. Sensor temperature range: -90ºC to +80ºC. Download the Data Sheet for a complete description of the TAM-1.